Here’s a creative discussion guide based on the new Indiana Jones Movie. Indiana Jones first cracked his whip in 1981, with Raiders of the Lost Ark. Almost three decades later, he’s back at it in The Kingdom of the Crystal Skull. This guide will help you consider some of the themes of the new Indiana Jones, such as knowledge, mystery, and nostalgia. When you download the file you’ll receive a Bible-based guide for personal use or group discussion after the movie. The cost of the download is only $5.95. Check it out. Here’s an excerpt from a FREE article I received from The Teaching Company. I’ve purchased several of their materials which I highly recommend to those who like to study. View thier full catalog of more than 250 courses, check them out at: TEACH12.com. They do a good job of enhancing the enjoyment of lifelong learning. Enjoy! Christianity was born within the Greco-Roman world, at about its midpoint, with the birth of Jesus, probably sometime around the year 4 B.C. It’s important for us to understand the birth of Christianity not simply by situating it within the Mediterranean at this time, but also within the context of religion in the Mediterranean at this time. The vast majority of persons living in the Roman Empire were pagans, meaning that they were polytheists who adhered to various local and state religions, or as scholars usually call these religions, cults. When you speak of a “cult,” you think of a kind of marginalized fringe group that is on the edge of sanctioned religion. When historians refer to “cults” in the ancient world, they aren’t referring to it in that sense. “Cult” comes from a Latin term, cultus deorum, which means “the care of the gods.” Cults are simply forms of ritual worship. The vast majority of people in the empire were polytheists, then, believing in many gods, who participated in one or another of the many state or local cults, forms of worship. To continue reading this FREE article, “From Jesus to Constantine: A History of Early Christianity Lecture 2: The Religious World of Early Christianity” click here. Download a FREE issue of “ReDiscovering the Book” Your online destination to explore new Bibles, reference works, educational programs, and more. * Find out if distance education is for you. You will also find a cool Bible quiz and a get a FREE Bible Study on the accuracy of scripture. Check it out. Download Free Ebooks @ the World eBook Fair! Visit the World eBook Fair @ WorldeBookFair.org, July 4th to August 4th 2008 to download for FREE your selection of One Million eBooks. July 4th 2008 begins for Third Annual World eBook Fair. Their goal is to provide Free access for a month to One Million eBooks. Until then there is only small fee to access 1000’s of ebooks, check it out. Project Gutenberg has over 100,000 electronic books available, and the target audience they have in mind is 1.5% of the world in this decade, and 15% of the world in the next decade. Did you know that the first mass produced printed book was the Bible? Click here and here for more. Don’t laugh, 15% of the world is already on the Internet now. . . . However, even at only 1.5%, that is 100 million people. Just 1/2 of the current United States population. . . . If we get the average one of those 100,000 eBooks to those 100,000,000 people we are targeting. . .that is TEN TRILLION eBOOKS!!! Can you find anyone else even TRYING to give that much away??? If you think education is expensive, try eBooks! Project Gutenberg has never received even one million dollars in total donations over all these years yet has given away ONE TRILLION dollars worth of eBooks at just 10 cents a copy for 10 trillion eBooks. Mark your calenders to visit the World eBook Fair, WorldeBookFair.org, July 4th to August 4th 2008 to download for FREE your selection of One Million eBooks. I recently started reading this book and have found it an excellent read. If you work with people this book is for you. 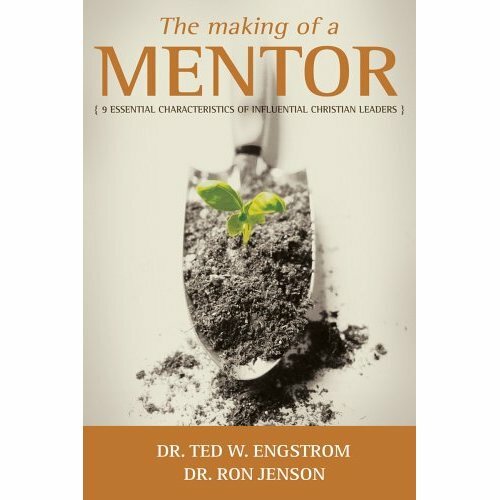 It’s about “Nine Essential Characteristics of Influential Christian Leaders“. I’m challenged with the insights of both authors and am sure that you will find a couple areas that need some improvement as well. Remember, readers are (most of the time) leaders and leaders are (definitely) readers. Read a good book lately? Let me know.